a very rare picture of the Cegga Ferrari V12 who win the french Hillclimb of Limonest Mont Verdun in 67. It was drived by Georges Gachnang, one of the two Gachnang brother, who lived in Aigle in Switzerland (the other is Claude). If I remember well, this car go after to the father of Olivier Panis, who used also in Hillclimb. I have read somewhere that he tell "I have do some race with a Ferrari Formula 1" (sic)...The reality was more simple indeed. Who know more about the story ? 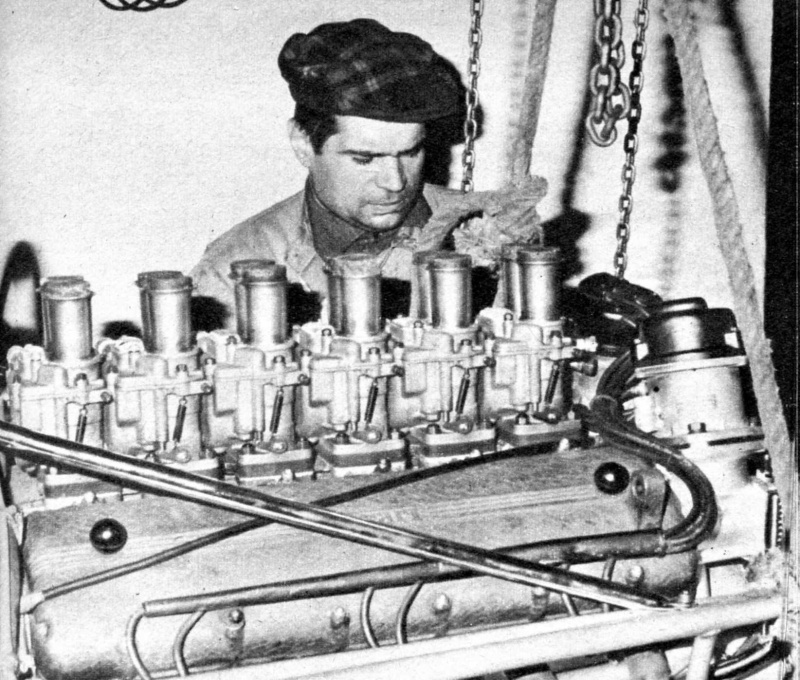 The last Cegga single-seater built was a Lotus 24 #950 chassis with a Ferrari V12 engine from the 250 TR #0742. When sold by G. Gachnang to Philippe Panis for the 1968 season, the former engine was replaced by a 250 GT street block. The car came back to Switzerland in 1970, and was raced by various drivers until 1977.
formidable, j'ignorais complètement cette histoire. 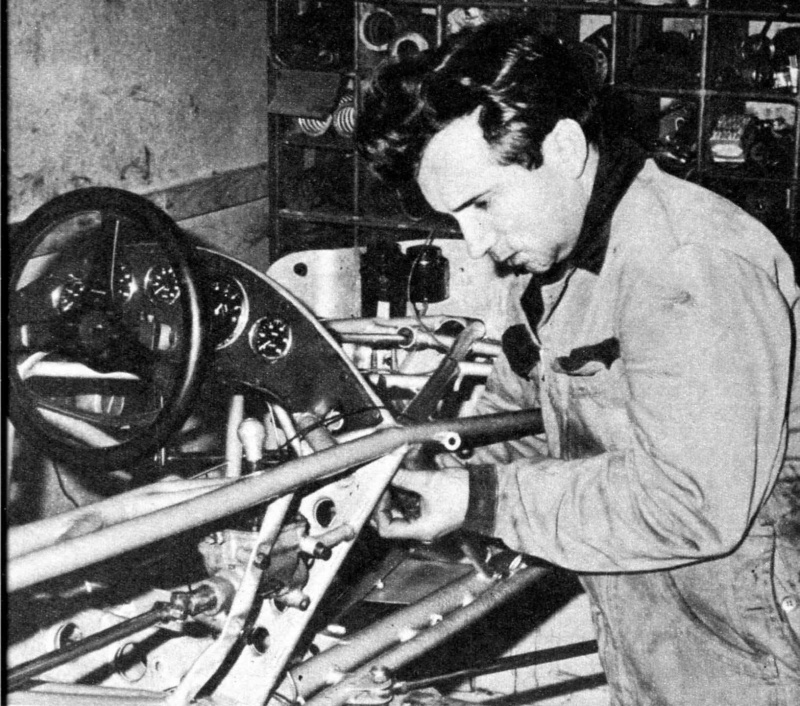 Il s'agit bien du chassis Lotus 24 que Georges Filipinetti avait acheté et que Phill Hill a conduit au GP de France ? do you know where is the car now ? it's a trange story because the second Lotus 24 buy by Georges Filipinetti wear the same # 950 on the invoice. Yes, and the other chassis #950 was raced at the ACF GP by Jo Siffert. Try have a look at the Cegga thread , might have a couple of infos. look at the rear upright, they are not Lotus 24 ? Can you send it ? The question of the chassis numbers of the Filipinetti Lotus 24s was already debated elsewhere. I do believe that the Lotus Components invoice for the 2nd Filipinetti 24, dated 26th June 1963, was wrong, and mentioned chassis number 24/950 in place of 24/951. In those "pioneer times", administrative errors were common in the Lotus or Cooper files. 24/951 was the new chassis used by Phil Hill at Reims and then by André Wicky in non-championship events and hillclimbs in 1964/1965, still in Filipinetti colours. This conclusion is from photographic evidence and I'll eat my hat if I am wrong. 24/950 was the chassis used by Jo Siffert and sold to him after he was fired by Georges Filipinetti, and it was probably the Gachnang chassis we are speaking about today. 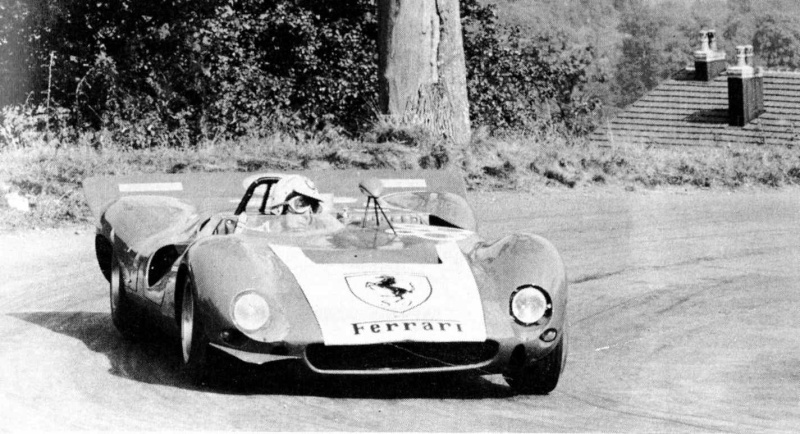 Maurice Louche in his book (Emotion Ferrari page 424 ) gives this chassis number too, and he offers us a good shot of Panis driving the car at the 1968 Ampus hillclimb. Please don't eat your hat Team Gunston ! Here is a pic of the Cegga-Maserati of Georges Gachnang who win the Limonest Hillclimb in 1965 when he beat the Ford GT40 of Guy Ligier ! You just can't start a thread that isn't fascinating! 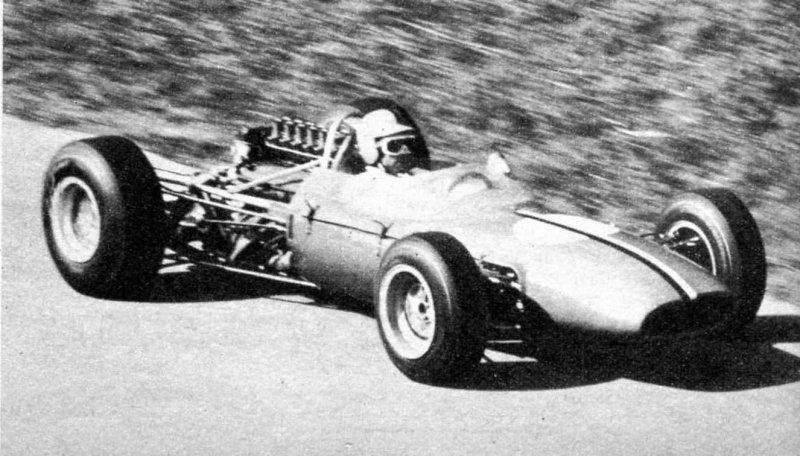 So if the 1967 Cegga (the Lotus 24-based one) that went to Philippe Panis for the 1968 season was "the last Cegga single-seater" as starlet says, what was the single-seater Cegga-Maserati that Gachnang drove in 1968, 1969 and 1970. The car is often mentioned as running in the single-seater class and there is also a Cegga running in the sports car class driven by Albino Fontana. I believe it's the single-seater that Gachang crashes at La Faucille in September 1970, breaking his arm. 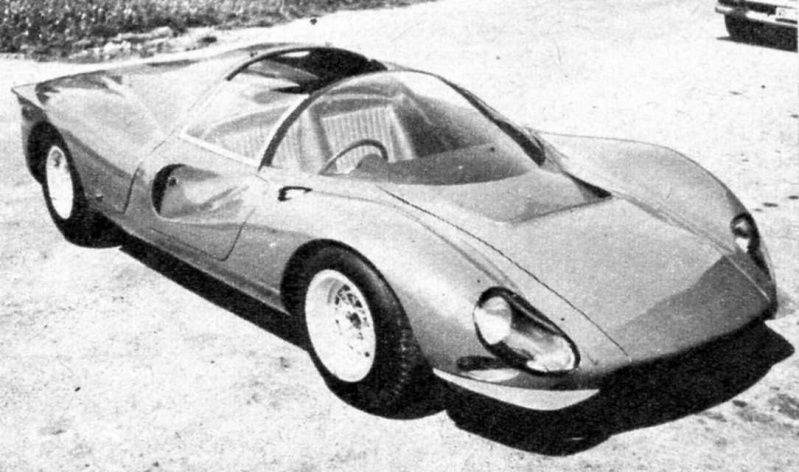 As an example, Fontana is third overall at the Marchairuz hill climb in October 1969 in a "Cegga-Maserati" and wins the over 1600cc racing car class with it. Gachnang takes second overall and wins the over 2500cc sports car class with another Cegga-Maserati. I have to search down in my archive ! I like very much the story of Gachnang brothers. The son of one of the Gachnang brothers posted once in this earlier Gachnang thread but sadly didn't continue to post. He might respond to direct e-mail contact. Look at this sports car Cegga-Maserati with a 3 liters V12 F1 !! It was presented on the Salon de Genève early in the year. Pic was take in 1969 and Georges Gachnang was at the wheel and he finished Third in Bellegarde Hillclimb (where the picture was take. The race waw win by...Patrick Dal BO on the Pygmée MDB12 for his firts outing in Hillclimb), third again in Sancey Hillclimb, but I dont know the follow at the moment. Sorry, I don't know why the pic was not on the thread. I've just find a good picture of Georges Gachnand, one of the two broters. He was the driver of Cegga Maserati and Cegga Ferrari. Sorry, you have to read Gachnang. [...] Pic was take in 1969 and Georges Gachnang was at the wheel and he finished Third in Bellegarde Hillclimb (where the picture was take. The race waw win by...Patrick Dal BO on the Pygmée MDB12 for his firts outing in Hillclimb), third again in Sancey Hillclimb, but I dont know the follow at the moment. While that post had no text indication as to location and driver, the file name (when downloading it) suggested that is was Fontana at Sancey. Could you please clarify which location and driver are correct ? Find this pic of the french Hughes Hazard at the wheel of the Cegga Ferrari. Take at the Saint-Maurice hillclimb in 1969 where he finished 2th. Echappement reported Hughes Hazard driving a F1 Ferrari on a couple of occasions. Did they get that right or was it the Cegga-Ferrari? What about the car they built from a cooper Monaco with a Ferrari engine ???? In Bruno's Post No.15 in this thread you see that Cooper Monaco-based car after its 2nd and 3rd Evolution step. Thanks . I did not recognise it as being the same car as I have photos of being bodied at Fantuzzis.